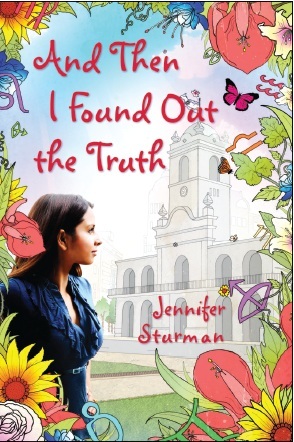 Here today to promote her upcoming new release And Then I Found Out The Truth is Jennifer Sturman. This is a follow up to the lively, entertaining And Then Everything Unraveled which is hitting paperback soon. Check out after the interview for your chance to win a copy of both these great books! If you could pair Delia with any character from any book (romantically or otherwise, your choice), what would be your pick? I LOVE this question! Delia deserves the very best, and not a lot of guys can live up to that, fictional or otherwise. She also refuses to go out with vampires, werewolves, or anyone at all who isn’t entirely human or alive, so that sort of limits her fictional options these days. My inspiration for Unraveled was Patrick Dennis’s Auntie Mame, and I think for Delia I’d have to go shopping in another of his books, The Joyous Season. Its hero, Kerry, is only 10, so we’d need to age him up a bit, but the raw material for a smart, kind, and wickedly funny guy is definitely there. 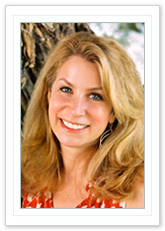 What is your favorite part about writing mysteries? I love puzzles, and mysteries are puzzles. As a writer, there’s something very satisfying about hiding the pieces of a puzzle within a book and watching my characters fit them together. There’s also a very practical advantage to writing mysteries, in that they provide a built-in plot. There’s a disappearance or a crime or a murder that has to be solved, so you already have the basic skeleton of the book – you just need to bring it all to life. I’m a total wuss. I’ve never been skydiving or anything like that (though I once went indoor skydiving – does that count?). In a way, writing requires a certain fearlessness, or to spin it a bit differently, putting your words out there for anyone to read can leave you feeling incredibly vulnerable. There’s a quote from Edna St. Vincent Millay that pretty much sums it up: "A person who publishes a book appears willfully in public with his pants down." If you could step into someone's shoes for a day, who's life would you like to experience? I’d love to have a fabulous singing voice. It would be amazing simply to open your mouth and have wonderful sound come out, and the be nefits are so much greater than just not offending yourself in the shower. If people enjoy listening to you, you’re making their lives better, and it can also give you the means to be majorly philanthropic (like Shakira’s doing in Colombia, for example) and otherwise be a force for good. Failing that, I’d like to be the person who reviews gelato stands in Italy. Snickerdoodle. Not for any real reason – I just like the name! Thank you Jennifer for the great answers and congrats on the release of both books! Want your chance to win a paperback copy of And Then Everything Unraveled and a hardback copy of the upcoming And Then I Found Out The Truth? Fill out this form by July 10. US/Canada addresses only. You are a new author to me. Your book covers are pretty. Wonderful interview. Thanks. All that and you can quote Edna St. Vincent Millay! (She's a Maine author and we love our authors here in Maine!) I love your covers and can't wait to read your books! I hadn't heard of these books before, but they're on my wish list now. Thanks for the interview and the review! Loved the interview! I am now looking foward to these books. Must save money! 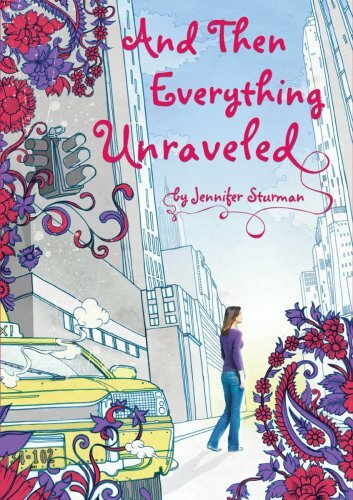 I read a few pages of "And then everything unraveled" and I thought that you are describing my crazy life. This is my kind of book. I love mystery, intrigue, suspense and a little romance with spice. Loved your interview. Have added Jennifer to my new author list. Thanks for the review and hosting the contest!